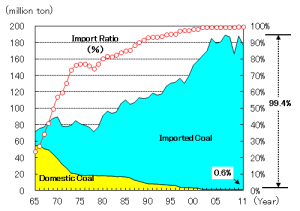 Coal is a thing of the past only used way back in the 19th century? False. 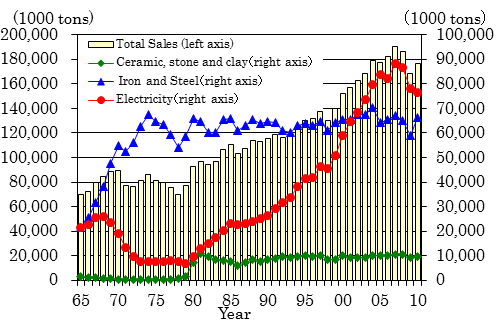 Even now, Japan uses a lot of coal to generate electricity and to make cement and steel. 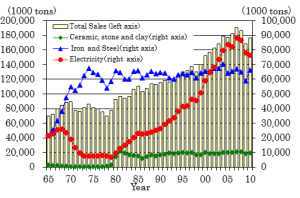 80% of coal used in Japan is for electricity generation and steel production. Because there is a global abundance of coal and it is a cheaper than oil or natural gas, coal has been increasingly used for power generation since the oil shock in the 1970s raised oil prices. Although the Kyoto Protocol was adopted in 1997 and more and more people have realized climate change is an issue, Japan has continued to increase its consumption of coal. The coal industry in Japan is now non-existent due to low domestic reserves and a cheap overseas supply. 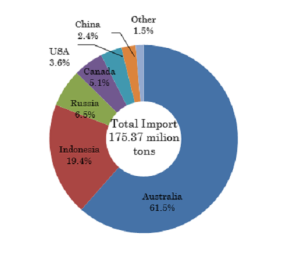 Therefore, Japan imports almost all (over 99%) of the coal it uses. 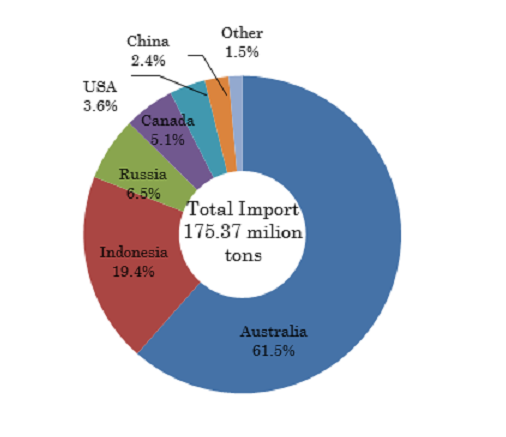 The largest supplier of coal is Australia followed by Indonesia and Russia.